The Republicans are still trying to conceal their bigotry, this time (again) calling it Religious Freedom. 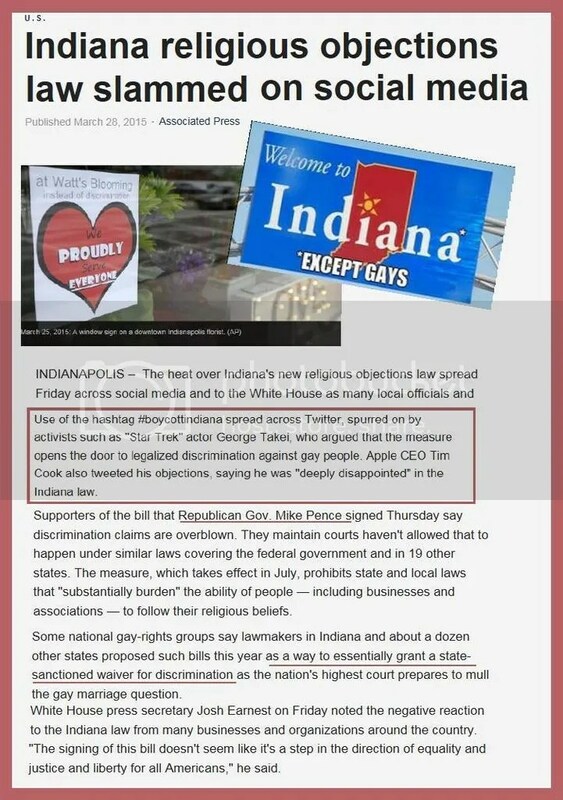 What a joke they are… thinking people are so stupid that they could slip this act of discrimination by them without any objections. The only ones who believe this chicanery to be a righteous sign of religious freedom, are the diehards on the Far Fringe Right-wing side of sanity. 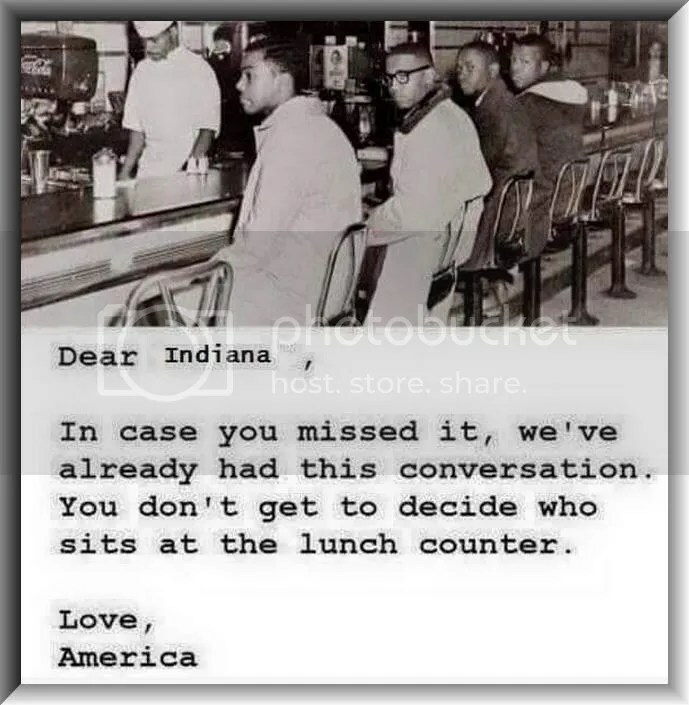 Anyone else can tell this is an odious and hateful law that reaches so far back in time, it mimics the days when tolerance, was a mark of weakness. INTOLERANCE –lack of tolerance; unwillingness or refusal to tolerate or respect opinions or beliefs contrary to one’s own. This entry was posted in health, Liberal Opinions, politics, Reality vs Tea Party Madness, religion, terrorism, Uncategorized, World and tagged bigotry, democrats, discrimination, freedom, gop, Indiana, liberal, Mike Pense, politics, progressive, religious, republican, Tea Party. Bookmark the permalink.